There is an extensive and astonishingly uniform set of assumptions and general knowledge that people tend to have about spiders. 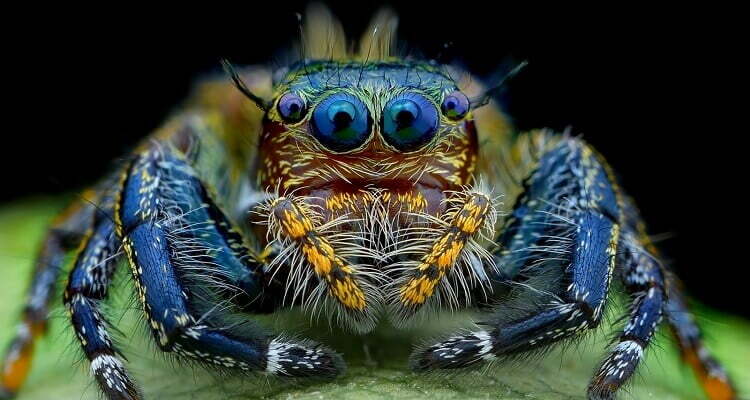 However, with very few exceptions, most of the information about spiders that people have is false. Many believe that they are harmful to human life but in reality these are just myths that people have. Fear of spiders is one of the most common fears that is found among human beings. And this fear makes people believe certain things that are not true. It is believed that Grand daddy long legs is the most dangerous spider and has the world’s deadliest venom. Its bite can even cause death of a person. However, this is not true. These spiders can bite but their bite is not harmful at all. They do have very mild venom but that is for their insect prey and is not harmful to humans at all. These spiders are generally found in the corners of the wall, cave or other such areas and with the help of their long legs they catch mosquitoes easily. There are a few people who believe that spiders are insects. However, this is not true and is just a myth. Spiders belong to the class Arachnida whereas insects belong to the class Insecta. Arachnids are very different from insects just as birds are from fishes. So the distinction between arachnids and insects is not very small or minor. The web that spiders make is not made out of silk but it is a silk structure that spiders make to catch their prey. And not all spiders spin webs. Only half the species of known spiders make use of webs to catch their prey. The remaining ones actively hunt for their prey or they sit and wait for their prey to come to them. Some spiders build a trap door under which they hide until they sense vibrations of their prey coming and then they spring out and attack. This one seems to be true but it is really just a myth. We often find flies to be caught in the web but never spiders and so we believe they are immune to their own webs. But this is not true. Spiders are not immune to their own sticky webs. They do get caught in it if they do not take care while walking. So if you notice carefully then you will see that spiders move extremely carefully along their webs so they do not get stuck. Normally when you see something crawling you tend to knock it on the floor and whack it with a rolled newspaper or something. But there are few people who believe that it is better to just pick it up and put it outside instead of killing it. People feel it is better to keep it outside in its natural habitat alive. But what they do not know is that by putting it out in the cold you are killing it anyway. Spiders are used to staying in the house where its warm and when you put it out in the cold they die. Many of us have heard this story of a person going to abroad and getting bit by a spider and then when he came home the bite began to swell and one day many spiders exploded out of it. This is not true and is just a myth. A spider cannot lay eggs under the human skin. There is no way in which a spider can inject its eggs inside you. In fact spiders are very particular about where they lay their eggs and they generally hide it in places where they are protected. It is believed that all black widows eat their mates and thus they have been given the name ?black widow’ which means an evil woman who eats her own husband. There are many types of black widows and not all of them eat their mates. During mating they tend to kill eat the male as the males are small in size compared to the females. When they are mating they have to be very close to the female’s mouth which makes their escape a little difficult and that is how they die. This is another myth about spiders. This myth was stated by Lisa Holtz because she wanted to prove that people are willing to believe anything that they read online. So she circulated a number of fake news via email stating that this is a fact. Most people believed that this is true. However, this is just a myth and so you need not worry about swallowing spiders in your sleep. People believe that there are spiders within 3 feet of you no matter where you are. However, this is just a myth. Scientists agree that spiders are a few hundred yards away or within 50 feet of you due to their dense population but they are not at a distance of 3 feet. If they were at such a less distance from you then you could never lie down or stretch without touching it. And so this is just a myth. This is true in regards to some of the smallest spiders whose fangs are very small and thus they cannot bite. However, this does not mean that all spiders can’t bite. There are many cases where spiders have bit humans as small as 3 millimetres long. But of course their bites are not harmful to humans at all. Also its very rare for the spiders to bite humans.